For those of you with a keen eye, you might've noticed that ActionVFX assets are quickly becoming the go-to choice for visual effects related stock footage. Everyday we're seeing our assets being used in bigger and better productions, but it's not only large feature films and network television shows that are taking advantage of our high quality effects. One of the biggest needs for VFX are inside of the music video industry. The short turnaround time combined with the demands of high quality make ActionVFX assets a perfect fit for these types of projects. 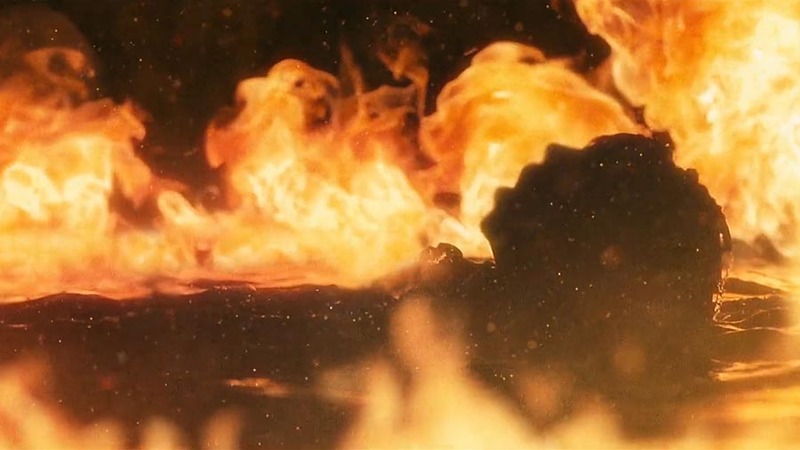 Watch the video below to see how our some of our fire and embers elements accompanied the VMA-Award Winning music video for Heavydirtysoul. The British indie-pop band Bastille also made great use of our effects in their music video for Send Them Off! Now for the best part of any VFX shot: the breakdown. The main fire scene brought together assets from our Structure Fire, Ground Fire, and Atmospheric Smoke and Fog Collections for a very rounded composition. As always, it pays to plan ahead. Notice how the crew used simple practical lighting to not only mark where the fires would be, but simulate the glow that would be produced from the fire. This technique doesn't just save you time from faking it in post, but it also helps sell the overall look of the composition by blending in practical lighting. In this music video, you'll see up-and-coming artist Vic Mensa spitting some serious fire amid some familiar Sparks and Embers in a crashing airplane. Pretty sweet! Black at it again with another interior room burn, utilizing some of the main elements in our Fire library. These are just a few of the hundreds-if not thousands of projects that have already benefited from the new professional standard that ActionVFX elements have ushered in. Huge shout-out to Director Andrew Donoho of DIKTATOR for his great work on these really creative music videos!